With the release date only a few months away, Disney has dropped the first full trailer for Christopher Robin, the live-action reboot about the lovable stuffed bear Winnie the Pooh. Unlike the brief teaser that released in March, this trailer finally shows the entire beloved population of the Hundred Acre Wood. Of all of the live-action Disney reboots, Christopher Robin may actually be the most exciting for a number of Disney fans. Rather than re-telling a story that everyone already knows like Beauty and the Beast or The Lion King, Christopher Robin will tell a new story featuring some of the most beloved characters ever brought to the screen by Disney. Over 40 years after the first Winnie the Pooh movie, Christopher Robin brings the cherished characters back to the big screen, but this time in live-action, and a couple decades years later. Christopher Robin stars, as the name suggests, Christopher Robin, who is now a hard-working adult played by Star Wars star Ewan McGregor. The latest trailer finally gives more insight to the movie's plot, showing the conflict that Christopher Robin will face as the movie progresses. Robin, like most adults, is overworked and stressed from his job and doesn't have enough time to spend with his family. However, a sudden appearance from his childhood friend Winnie the Pooh brings him back to the old days, and makes him see what is important in life. If the movie is as heartwarming as the latest trailer, then it will undoubtedly be a great trip to the theater for any Disney fan. Many of the live-action Disney reboots try to market themselves toward people who enjoyed the original movies in their childhood, using nostalgia as a clever way to put people into theater seats. Not only does the new Christopher Robin trailer manage to do this brilliantly, but it also brings the factor of dealing with adulthood into the mix. Considering that their largest target audiences is adults who grew up on Winnie the Pooh, making the plot and conflict about struggling with adulthood and work will certainly make the movie much more relatable for the target demographic. However, the most exciting part about the latest Christopher Robin was undoubtedly the return of the classic characters. 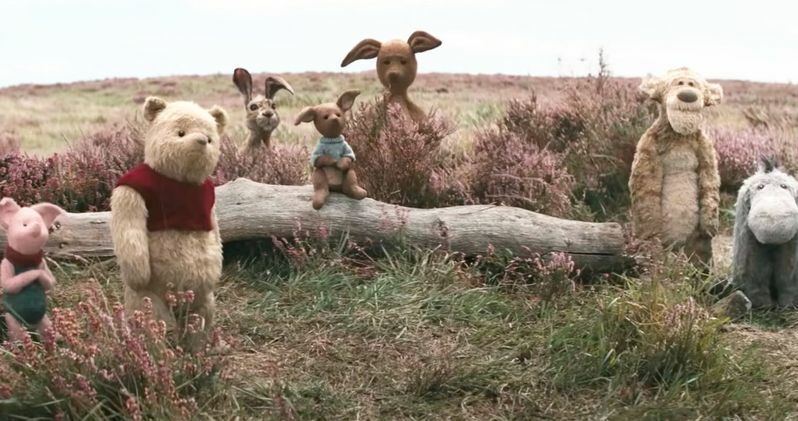 The first teaser only showed Winnie the Pooh at the very ending, but this time around, the trailer opens up right away with Winnie, along with everyone else from the Hundred Acre Wood. The movie is bringing back all of the classics, including Piglet, Eeyore, Tigger, Owl, Rabbit, Kanga, and Roo. Some of the newer Winnie the Pooh characters like Heffalump are notably absent, which may be disappointing to younger audiences, but the inclusion of the originals still makes it exciting. All in all, the callbacks and heartwarming tone of the latest Christopher Robin trailer from Disney prove that this live-action reboot will not be one to miss. Moments like Christopher Robin getting stuck in a tree and Eeyore floating in the river under the bridge show that Christopher Robin will truly be a great, nostalgic ride for everyone who grew up with these treasured characters.